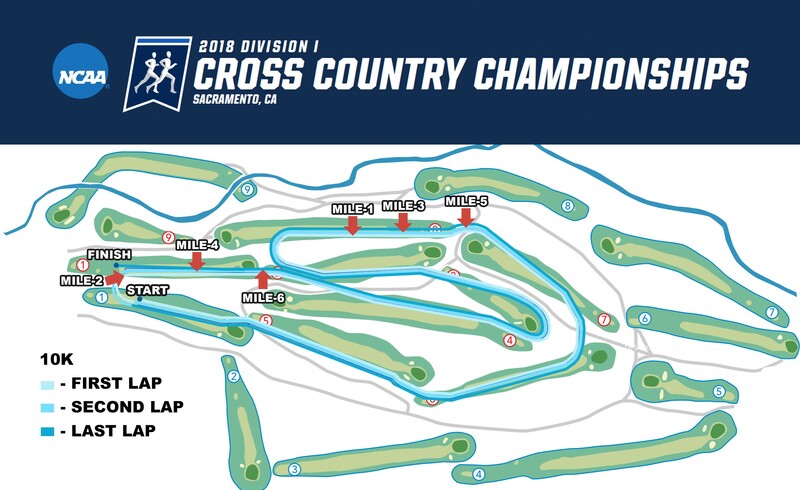 Santa Barbara, Calif. - UC Santa Barbara Cross Country will be set to compete at the NCAA West Regional Meet up in Sacramento this Friday, November 9th at the Haggin Oaks Golf Complex hosted by Sacramento State. 30 plus teams will be in attendance on both the men's and women's sides aiming to qualify for the NCAA Championships in Madison, Wisconsin on November 17th. The competition will be set to begin at 11:00am with the women's 6k followed by the men's 10k at 12:00pm. 31 team spots will be on the line with 9 different regional meets occurring across the country over the course of this weekend. 18 bids will be automatically assigned to the teams that finish within the top 2 spots in their region, while the last 13 will be selected at-large. Criteria for selection will be determined by regular season performance as well as placing on this weekend. For individuals, 38 spots per gender are up for grabs as well for those who are not on a team with a secured national bid. The top 4 individuals from each region that are not on a qualifying team will be automatically selected, provided they finish top 25 overall in their race. This will leave 2 at-large spots per gender to be up for selection for nationals which, like the at-large team spots, will be selected based on regular season performance and regional placing. 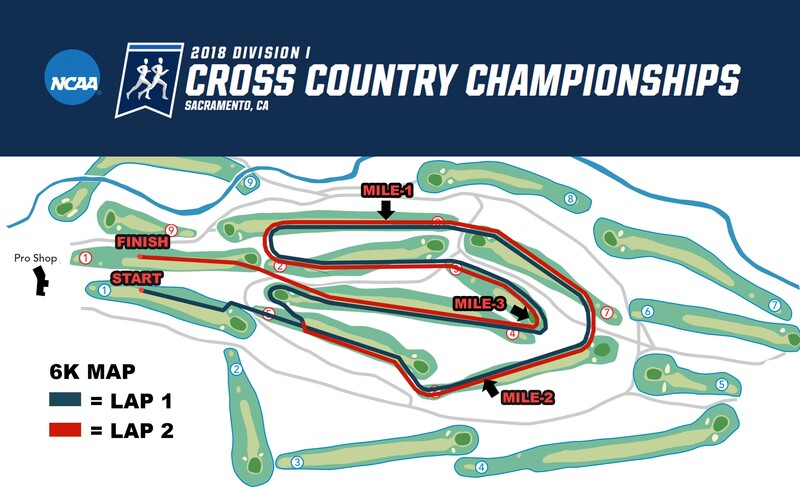 With a fourth place finish at the Big West Cross Country Championships under their belts, the women are hungry for more this weekend in hopes of climbing up the regional hierarchy, having taken 14th and 16th place as a team the last two times they raced at the regional meet. Despite having a majority of underclassmen scheduled to compete, the Gauchos still have three ladies returning from last year's meet with Katie Camarena, Isa Marshall, and Marisa Rodriguez, so past experience may not be lost in this group when taking on a projected field size of 38 teams. Camarena is featured as the top returner with a 61st place individual finish from last year as well as an 82nd place finish from 2016 when the meet was last held at Sacramento, so she will be in familiar territory when she steps onto the long grass loops of the Golf Complex this Friday. Astrid Rosvall has been making waves as of late for the women's team culminating in a fifth place individual finish at the conference meet, so she will be taking close order with Camarena as they aim to keep the front pack in sight. True freshman Emma Overell will be one to watch coming off her own well deserved finish at the conference meet in 17th, the highest placing for a Gaucho freshman on the women's side in over a decade. In addition, sophomore Marisa Rodriguez and redshirt freshman Jasmine Rippey could be in the conversation as well along with Overell, both having scored at the conference meet for the first time in their careers. The men took second at the Conference Championships once again behind Cal Poly, showcasing a young but determined squad with four of the top five scorers being underclassmen. They return two scorers from the regional meet last year in the likes of Yousef Baddour and Brian Schulz along with Nick Randazzo who was the No. 6 finisher at that meet. Having placed 14th in the team standings the past two years, the Gauchos are looking to move further up the pellaton with their eyes specifically on a top ten team finish. Redshirt Junior Daniel Mountcastle has come to the forefront of the men's team recently adding a second place finish from the Big West Cross Country Championships just over a week and a half ago to his resume. Mountcastle is in prime form to lead the Gauchos once again with sophomore Brian Schulz looking to keep things interesting after garnering a third place finish at the conference meet. Baddour and Randazzo, both of whom were taking initiative early on this season, are looking to bounce back from a less than ideal conference showing by taking closer order at the regional meet. Lastly, redshirt freshman Alex Barr was able to secure the men's second place finish at the conference meet as the No. 5 scorer, but the 1500m specialist may have his work cut out for him with a few keen teammates nipping at his heels in the likes of Thomas Wilfert and James Douglass.